As I described earlier I have a passion for chalk and boards. And I found an other great example which combines the two. 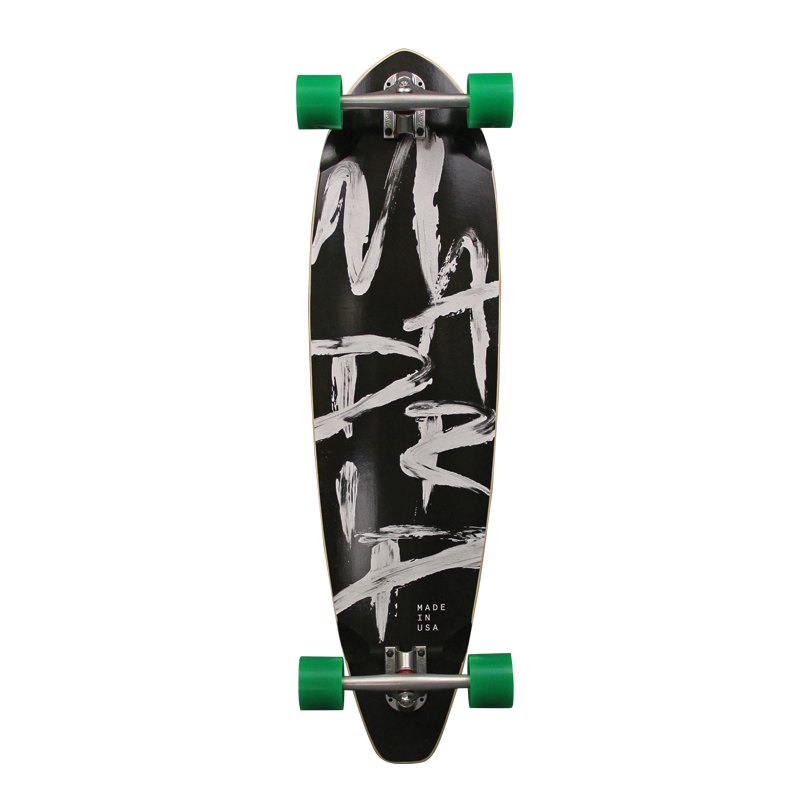 The Madrid longboards – Strokes Rocker Pintail Longboard, which is elegant and could be just a chalkboard as any other. The strokes do remind me on the way the chalk leaves a trail behind on the chalkboard, so definitely a plus in my book. What do you think, is this the one? This entry was posted in chalkboard, pintail longboard and tagged madrid longboard on September 29, 2015 by Regina.